GENEVA (AP) — Texas blues icon Johnny Winter, who rose to fame in the late 1960s and '70s for his energetic performances and musical collaborations including with childhood hero Muddy Waters, has died. He was 70. His representative, Carla Parisi, confirmed Thursday that Winter died in a hotel room in Zurich a day earlier. The statement said his wife, family and bandmates were all saddened by the loss of one of the world's finest guitarists. He had been on an extensive tour this year that brought him to Europe. His last performance came Saturday at the Lovely Days Festival in Wiesen, Austria. 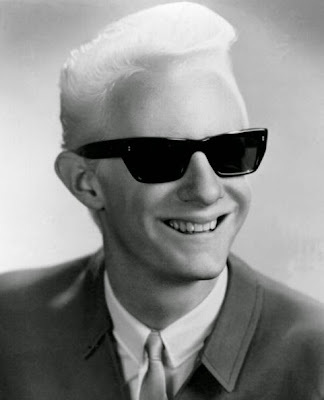 Winter, along with his younger brother Edgar, rose to prominence in their early 20s and turned heads both for their musicianship and stark-white hair, a result of the musicians' albinism. The guitarist was born in Beaumont, Texas in 1944 and rose to prominence in his early 20s after a Rolling Stone cover story on Texas music in December 1968. "If you can imagine a 130-pound, cross-eyed albino with long fleecy hair playing some of the gutsiest, fluid blues guitar you ever heard, then enter Johnny Winter," wrote Larry Sepulvado and John Burks in the issue. "At 16, [Mike] Bloomfield called him the best white blues guitarist he ever heard.... No doubt about it, the first name that comes to mind when you ask emigrant Texans about the good musicians that stayed back home is Winter's." The guitarist, who had previously played in a band with his younger brother Edgar (who scored a Seventies hit with "Frankenstein"), was playing in a trio at the time. After the article came out, Winter was offered several deals and eventually signed a reported $600,000 contract with Columbia. Winter was found dead overnight in a hotel room outside Zurich, according to a police spokeswoman. A prosecutor has ordered an autopsy because the cause of death is unclear. There was no indication of third-party involvement, and early indications pointed to a medically related incident.